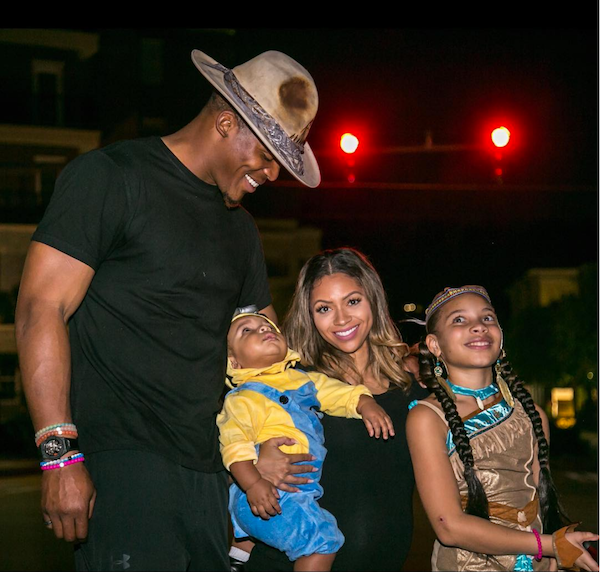 The Carolina Panthers QB didn't make it to the playoffs this year, but he definitely nailed it when it came to aiming for that baby a few months ago. Apparently. We checked on when this #OnlyOnRodeo installation went live, and it's been up on Rodeo Drive since February. So yeah, the pic appears to be a recent one. The couple's oldest child together, Chosen, is 2 years, 2 months old. Their daughter, Soverign, is approxiamately 13 months old, give or take a month. Cam & Kia are both young and Cam is certainly richer than most, so we're sure they can handle a house of 3 tots plus a teen. It also looks like Cam is well on his way to those 11 kids he once said he wanted. Congrats to the couple!